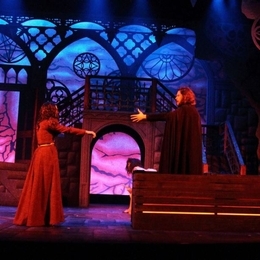 Sinclair Theatre received 19 nominations in Russell Florence Jr.’s Saluting Dayton’s 2016-17 Theatre Season and received two “BEST OF” awards for scenic and sound designs for Dracula-- including one for the student sound design by Isaiah Parnell, 2017 Sinclair graduate, who is transferring to University of Cincinnati’s CCM this fall and is currently doing an internship in New York. Kathleen Hotmer, A Midsummer Night’s Dream! BEST SOUND DESIGN OF A PLAY!